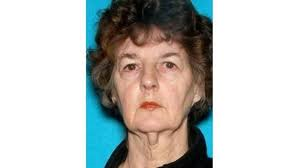 (Henry County, IN)--A Cambridge City woman who was the subject of a statewide Silver Alert over the weekend has been found dead. The alert was issued after 76-year-old Rhea Cash left her home early Saturday morning. Her crashed car was located on Bentonville Road in Henry County, but Cash could not be found. On Sunday morning, her body was discovered in a ravine about a quarter of a mile away from the crash site. No foul play is suspected. An autopsy is pending.